Crushed Glass Abrasive Grit, 5 Lbs. 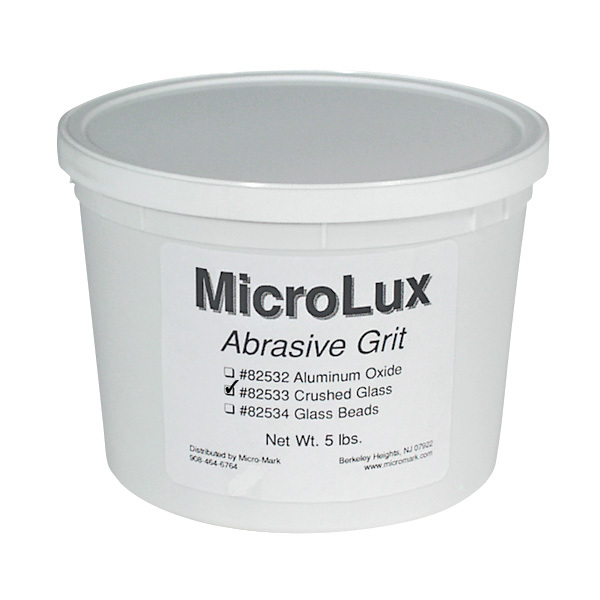 Use Crushed Glass Abrasive Grit with mini sandblast guns and the MicroLux Grit Blaster for tarnish removal and other moderate cleaning/paint stripping jobs. 5 lb. container. Glass Bead Abrasive Grit, 5 Lbs.